The group solved 1,000 protein structures from more than 70 infectious disease organisms. Understanding protein structures -- the basis of drug therapy and vaccines -- is key to understanding how infectious diseases are different from us, said Dr. Wesley Van Voorhis, head of the Division of Allergy and Infectious Diseases at the UW School of Medicine. “We helped hundreds and hundreds of investigators make progress against parasites, bacteria and viruses. This is a huge personal satisfaction,” said Van Voorhis. The collaboration is led through the Seattle Structural Genomics Center for Infectious Disease (SSGCID), which was started 10 years ago through funding by the National Institute of Allergy and Infectious Diseases, which is part of the National Institutes of Health. Partners include UW Medicine (including the Department of Biochemistry), UW Department of Chemistry, the Center for Infectious Disease Research in Seattle, Beryllium Discovery Corp. on Bainbridge Island, and Battelle/Pacific Northwest Laboratories in Richland. Proteins are the body’s most essential building blocks and control all of the body’s functions. And there are thousands of them. For example, humans have 21,000, malaria 5,300. 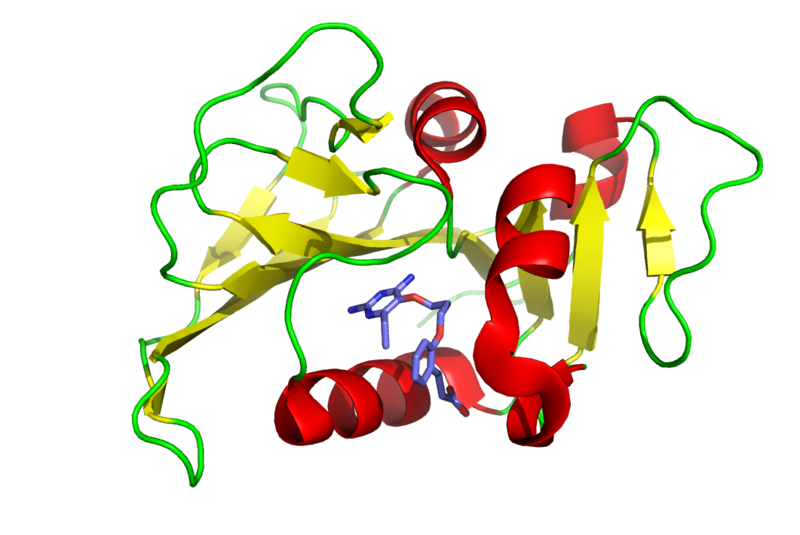 Proteins’ actions are diverse and complex and determined by their three-dimensional structure. By understanding a protein’s 3D structure, researchers can identify how proteins function and can interact. Dr. Peter Myler, director of core services at the Center for Infectious Disease Research, who leads the SSGCID, said more than 40 percent of the protein structures the center’s researchers have solved are direct requests from the infectious disease research community. The researchers also work with some of the best biologists in the world to identify other proteins where a structure would help science, said Van Voorhis. He said the researchers also work closely with a similar collaboration group in Chicago to make sure they are not overlapping. Other collaborators include David Baker, a pioneer in protein design and a professor of biochemistry at the UW School of Medicine, and Gabriele Varani, a UW professor of chemistry and biochemistry. SSGCID is looking at protein structures responsible for diseases such as Ebola and Zika, tuberculosis, leprosy, malaria and influenza, said Myler. Other diseases include African trypanosomiasis (also known as sleeping sickness), Chagas (which, left untreated, can fatally damage the heart and nervous system) and cryptosporidiosis (which causes fatal diarrheal disease in children aged 6-18 months). Myler said a recent focus of the collaboration has been to solve protein structures from antibiotic resistant bacteria. Myler said SSGCID is compelled by the scientific community’s need to fill in the puzzle pieces of infectious disease research and has consistently solved more structures than its annual goal. All structures solved by the center are shared with the scientific community through a public database called the Protein Data Bank and by publication of more than 100 scientific papers. This information is extensively used by other scientists. The structures from the center have been cited in more than 500 papers from other laboratories in academia, research institutes and pharmaceutical companies around the world. All materials generated from the project, including structures, clones and proteins are open to the scientific community through the database and SSGCID’s website. SSGCID is funded by NIAID through contract number HHSN272201200025C. This work was facilitated though the use of advanced computational, storage, and networking infrastructure provided by the Hyak supercomputer system at the University of Washington.